A chance run-in with a college boyfriend puts a young woman's picture-perfect life in perspective in this warm-hearted and lyrical novel from the author of The Lake Season. Since finishing graduate school, Maggie Griffin has worked hard to build an enviable life in Boston. She's an elementary school teacher in a tony Boston suburb, a devoted sister, and a loving aunt. With her childhood best friend's wedding quickly approaching and her own relationship blossoming, this is the summer she has been waiting for. But when Maggie's career is suddenly in jeopardy, her life begins to unravel. 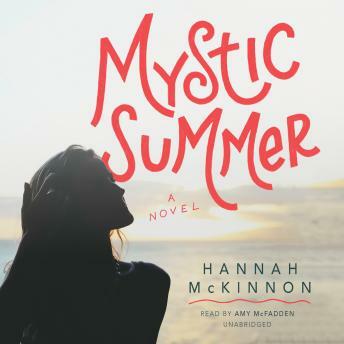 Stricken, Maggie returns home to seaside Mystic, Connecticut, where she expects to find comfort in family and familiarity. Instead, she runs into Cameron Wilder, a young man from her past who has also returned home, and whose life has taken a turn that puts Maggie's city struggles in harsh perspective. When tragedy strikes for Cameron, Maggie is faced with big decisions as she weighs what matters most and strives to stay true to the person she's become.